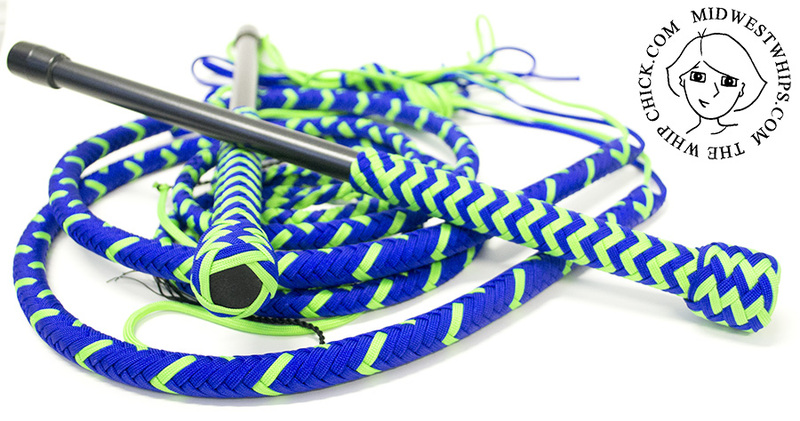 I made this matched pair of PH Whips for Dieter in Switzerland using Electric Blue and Neon Green Paracord. 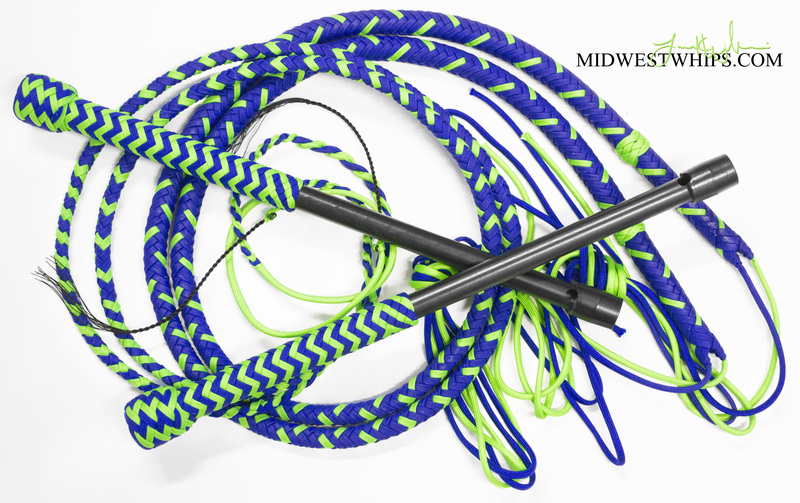 This is Joseph’s new matched pair of Performance Hybrid Nylon Whips made from Black and Electric Blue Parachute Cord. 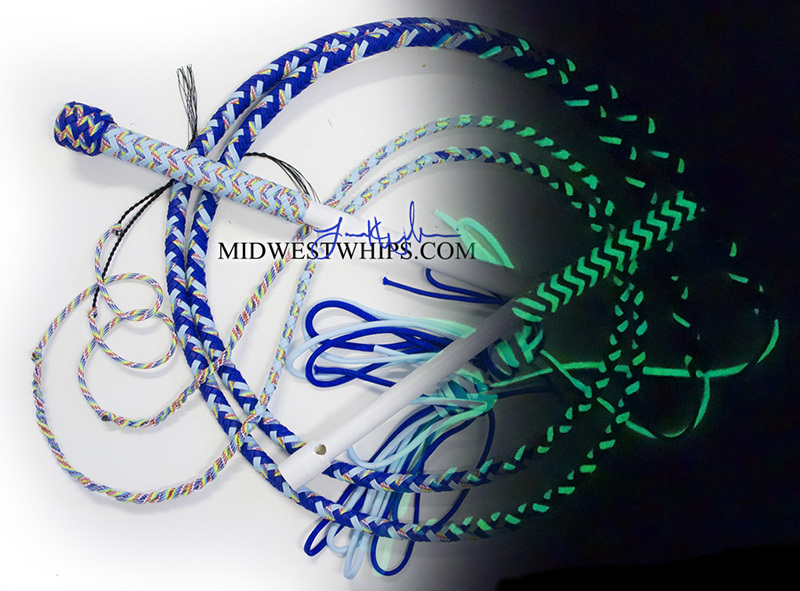 I made this matched pair of Performance Hybrid Nylon Whips to send to Norway using Neon Green and Electric Blue parachute cord. 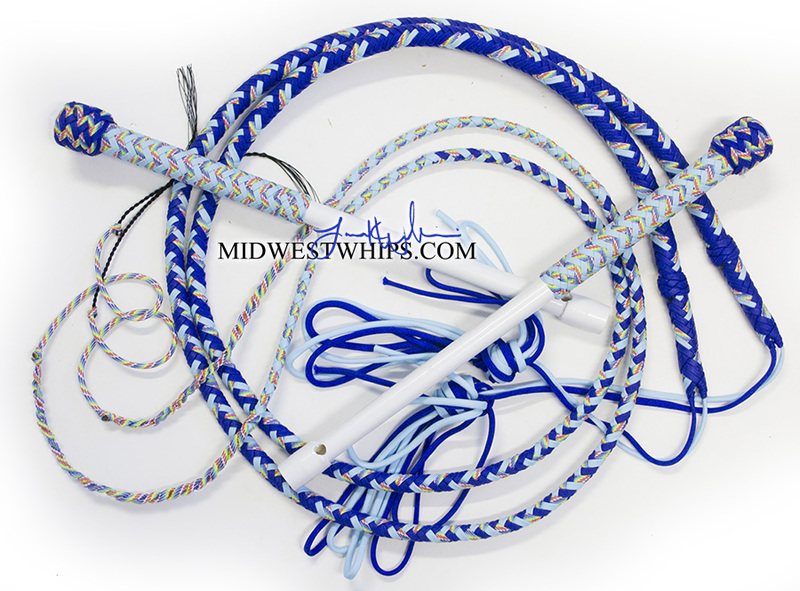 If you’re interested in a pair of whips like these, check out my Nylon Whips page on MidWestWhips.com or browse this gallery blog for color ideas by using the search bar or clicking on a color you’re interested in seeing more of in the tag cloud to the right. This whip shipped out last month, and should be in Norway by now! 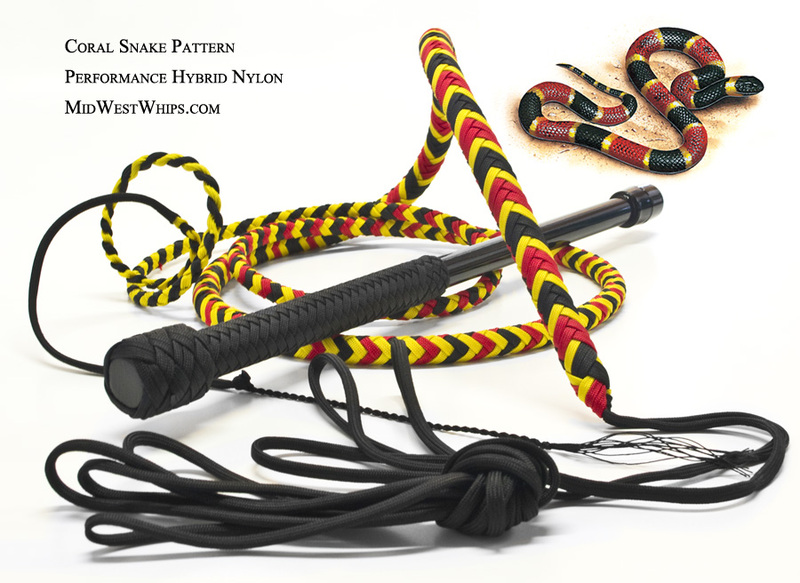 The pattern is based on the Coral Snake Whip, but uses Neon Green and Electric Blue. 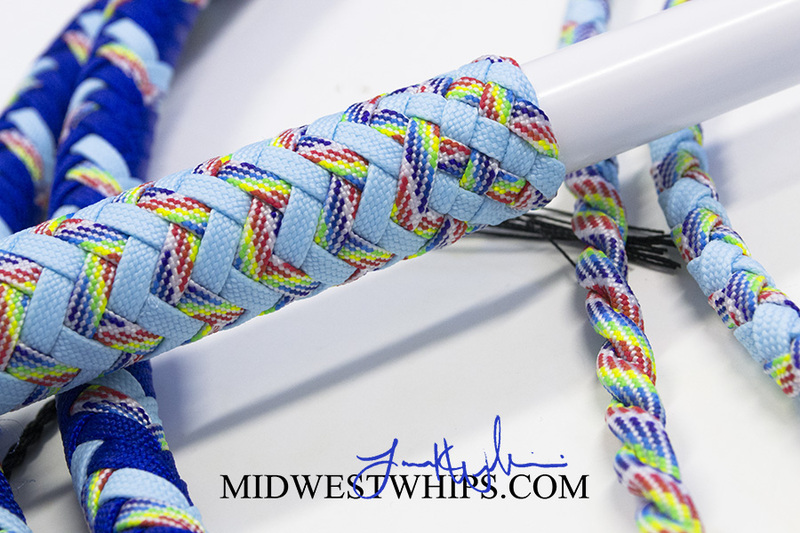 This brand new matched pair of custom Performance Hybrid Nylon Whips was made for Shane. 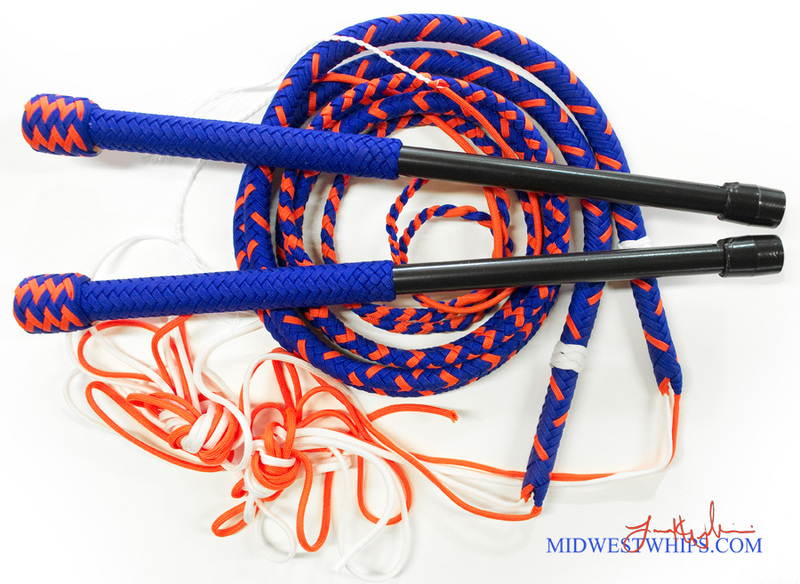 The paracord colors we used to make this pattern include Electric Blue, White, and Neon Orange.